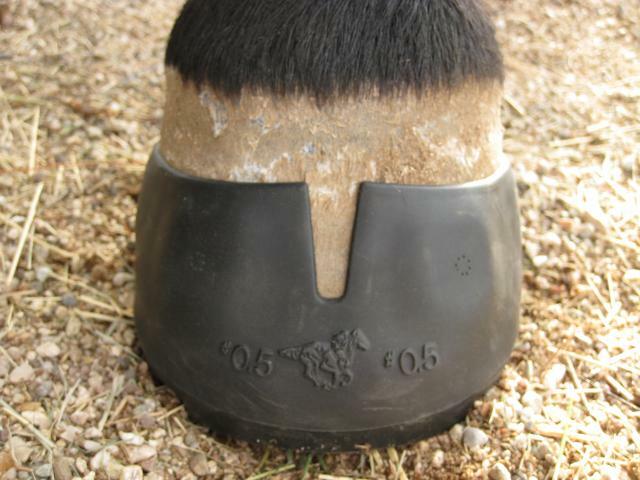 A good fit is the number one criterion for determining the best boot for your horse. 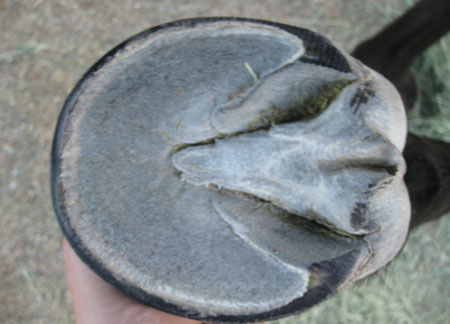 Whether you are looking for help with your first pair of boots or trying to resolve boot loss/damage, the customer service team at EasyCare is happy to evaluate your horse’s boot fit. 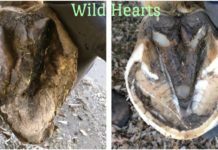 Although you never want to trim a hoof to fit a boot, boots can expose trims or hoof conformations that are less than ideal. 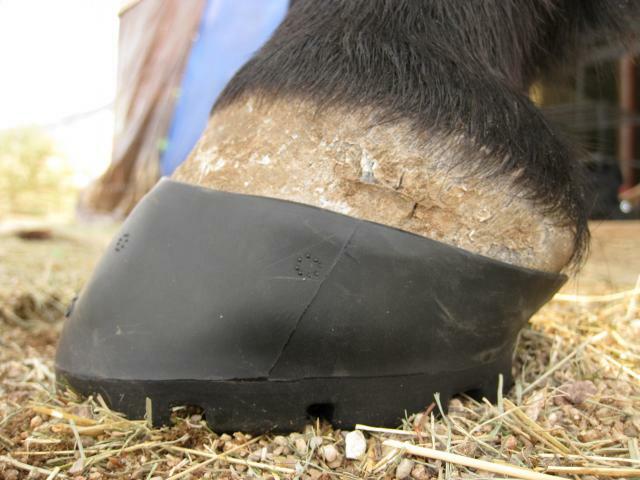 Booting an overgrown or unbalanced hoof and/or using an inappropriate boot style are common factors responsible for poor booting experiences. 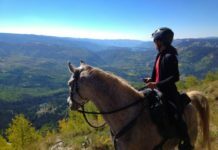 The pictures below show the views that are necessary for boot fit analysis. 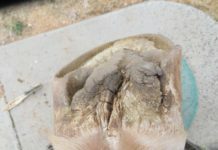 Dorsal view with boot on. 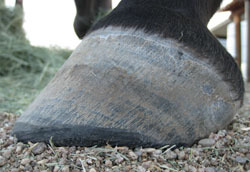 Lateral view with boot on. 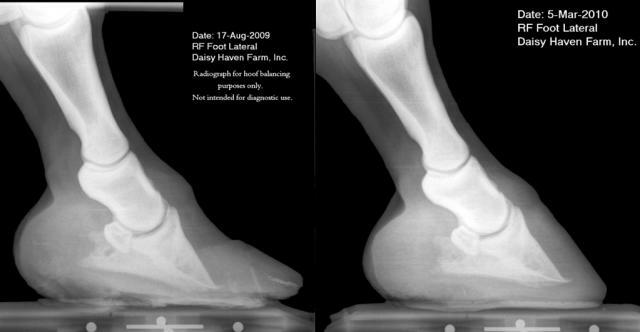 Dorsal and lateral views without boot. take photos on a clean and flat surface. take photos in natural light, shaded areas are preferable to full sun. take the dorsal and lateral views from the ground level. 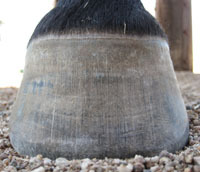 take the solar view with the camera parallel to the sole (do not tilt the hoof). label your photos by foot and view (for example “RF lateral” for “right front lateral”). As always, if you have any questions please give us a call at 1.800.447.8836 and we will be happy to assist you.